Grew Up... in East Allegheny, Pennsylvania, near Pittsburgh. When Jennifer, or JJ as she’s known to close friends, was 11, her older sister Rosaline committed suicide. She was the captain of her soccer team and valedictorian at East Allegheny High School. She attended University of Pittsburgh on an athletic scholarship, as well as Georgetown University in Washington D.C. She decided to join the FBI after hearing a lecture from David Rossi, a profiler for the BAU, at Georgetown during her final year. Living... in the Washington D.C. area. Profession... JJ is the Communications Liaison at the Behavioral Analysis Unit in Quantico, Virginia. JJ is not a profiler, but often participates in the profiling alongside her colleagues. Interests... JJ is a very big Washington Redskins fan. JJ collected butterflies as a little girl and she’s very good at darts, but says she prefers bowling. She also shows a great fondness for coffee, along with most of the other members of the BAU. Relationship Status... JJ is single… for now. 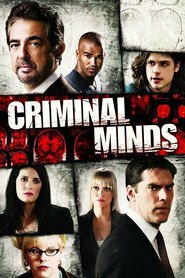 At one point, JJ agrees to go with another member of the BAU, Reid, to a Washington Redskins game, but no other romantic events happen between her and Reid. Challenge... catching “unsubs", or unknown subjects. JJ serves as the connection between the BAU and the police/media, often to use the media to assist in the investigation. Aaron Hotchner requested JJ become a profiler, but she denied his request, though she occasionally assists in the field and during the profiling. Personality... calm and considerate, with remarkable people skills. She is often the one to deliver “news” to the families of victims, given her gentle sympathetic nature. Despite her serious work ethic, JJ is casual, can even make jokes with her co-workers, and is noted for being quite the storyteller. JJ has an almost family-like relationship with her co-workers. Jennifer Jareau's popularity ranking on CharacTour is #1096 out of 5,000+ characters. See our top-ranked characters and read their profiles.